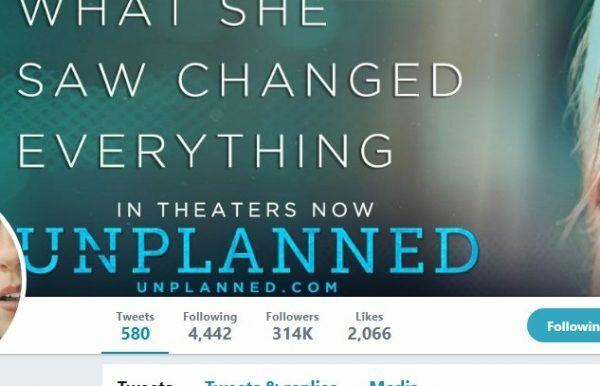 (Worthy News) - Chuck Konzelman, director of the Pure Flix movie “Unplanned,” revealed to Congress this week that nearly 100 abortion clinic workers have sought to leave their jobs after seeing the pro-life film. In one of the comments someone wrote "G-d". Is this person afraid to spell out His name? God and His Gospel are nothing to be ashamed of. If you wish to honor Him, then honor Him, by using His full title please. May Our Lord bless the folks who helped to make this film possible. Let's give thanks to EVERYONE behind this film, not just the 'famous actress'. The people behind the scenes often are doing the really hard work. Let's give them credit and pray for them. As for the workers who are leaving their jobs - the Lord will provide for you. Look to Him and He will provide for you and care for you. Acknowledge Him as the Creator of all living creatures and human, including yet-to-be-born babies and He will bless you! This is excellent news maybe more people will be able to see this movie. There is a show I seen today April 15, 2019 about abortion. This show will be back on at 3pm CT time channel 377 directv . It was real good if anyone is interested. This is excellent news maybe more people will be able to see this movie. I saw a show today April 15, 2019 on abortion. It will be back on today at 3pm CT time channel 377 directv, and tommorow at 2pm CT 376 and 3pm 377 directv. It was real good if anyone is interested. let's pray that 1000 more workers in abortion clinics go to see this movie and quit their jobs.